The bill has taken a beating, as deals were made and debate raged for two long years. Scutari, a Democrat from Linden, concedes that maybe 10 more votes total between the Assembly and Senate are needed for it to pass, but he remains optimistic. Many details that were in previous versions, such as how many dispensaries would be permitted to open across the state, are gone. Scutari said such decisions would now be left to a five-member commission. The Cannabis Regulatory Commission would have broad powers to regulate the new industry and control the medical marijuana program, which now serves more than 42,500 patients. 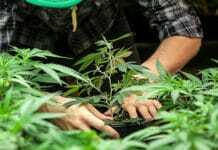 The two would remain separate, with recreational users subject to taxation, and patients exempt. The commission also would regulate home deliveries — a relatively novel idea among the 10 states that have legalized marijuana. Only certified drivers could drop off cannabis to adult customers, who could purchase only one ounce. The creation of the commission was a stumbling block that prevented the bill from advancing to the floor during the last six months. Gov. Phil Murphy pledged during his 2017 campaign that he would quickly approve legal weed, but when lawmakers added provisions that would have robbed him of control over the new industry, he withheld his support. 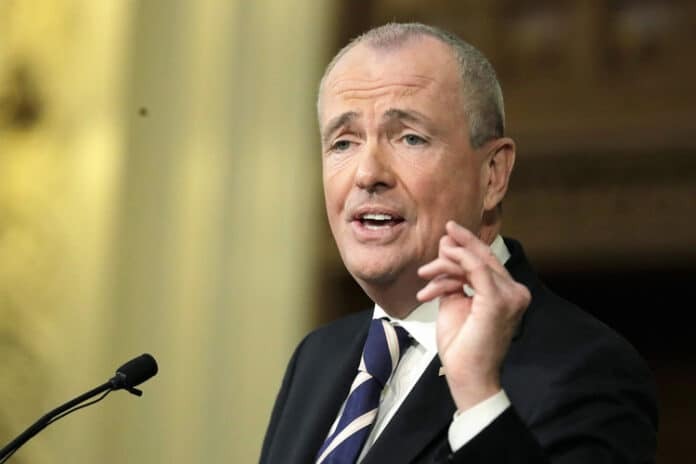 Then, on Tuesday, Murphy, Senate President Stephen Sweeney, and Assembly Speaker Craig Coughlin, all Democrats, announced they had reached a deal on the commission’s makeup, and on how much cannabis should be taxed, another sticking point that had stalled the bill. “After months of hard work and thoughtful negotiations, I’m thrilled to announce an agreement. … This legislation will establish an industry that brings fairness and economic opportunity to all of our communities, while promoting public safety by ensuring a safe product and allowing law enforcement to focus their resources on serious crimes,” Murphy said. The governor would appoint all five commissioners with recommendations from Sweeney and Coughlin. In Pennsylvania, a bill to legalize adult-use marijuana has been introduced in the House. More sweeping legislation is expected to be introduced in the Senate in the coming weeks. Supporters say Pennsylvania could lose millions in tax revenue to bordering states that are aggressively pursuing legalization if the state doesn’t move on this. Under the New Jersey bill, cannabis growers would be taxed $42 an ounce. Towns that welcome pot businesses could also tax dispensaries 3 percent; growers, 2 percent; and wholesalers, 1 percent. Whether that would be enough of an incentive for towns to allow marijuana businesses remains to be seen. Before the tax structure was announced, more than 60 towns passed laws banning the businesses. Scott Rudder, president of New Jersey Cannabusiness, which represents marijuana businesses, said the taxes and polls that show 62 percent of New Jersey residents approve of legalization should help win over towns. 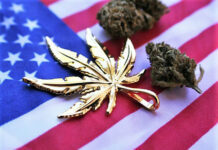 “In Colorado, the first state to legalize, 70 percent of the towns opted out the first year. But last year, there were $1.6 billion in sales. And now more towns want to get back in,” he said. Rudder predicts that the bill will pass and that towns will gradually come around. “People just need to be comfortable with it. All of our lives we’ve been told cannabis is bad. … It’s something that’s been vilified for the past 81 years, and now we’re using modern data and research to separate facts from fear,” he said. It’s not a partisan issue. Sen. Ronald Rice, a Democrat and chair of the New Jersey Legislative Black Caucus, favors decriminalization but not legalization. Rice has said marijuana is addictive and it could ruin lives. Sen. Gerald Cardinale, a Republican from Bergen County, has said he will vote no partly because he worries about people who smoke marijuana and drive. 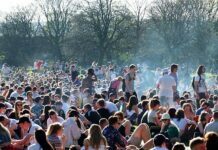 Chris Goldstein, an organizer for NORML, the National Organization for the Reform of Marijuana Laws, said the bill goes beyond the programs of most other states with legal weed. The proposal says 25 percent of all licenses would go to microbusiness owners. “That is huge. No other state has even proposed to do anything like this,” Goldstein said. He said licenses would also be given only to applicants who have lived in New Jersey for two years — a unique requirement. The bill also would require the commission to award 15 percent of licenses to African Americans and 15 percent to women and disabled veterans. Bill sponsors included this requirement after legalization advocates complained big businesses could come into the state and exploit the new industry. 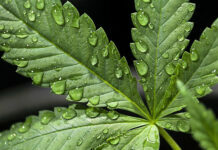 Advocates also said the provisions would help make up for the discrimination that minorities suffered in the past when they were disproportionately arrested for possession of small amounts of marijuana. An ACLU study found black people were arrested three times as often as white people though usage rates were similar. People convicted of minor marijuana offenses also would have their records swiftly expunged, or erased, under a key section of the bill. If the bill passes, the commission would have 12 months to award licenses and launch the program. But Scutari and others predict it could be underway before the year ends. “I can see that happening,” he said. David Knowlton, president of the Compassionate Care dispensary in Egg Harbor Township, said state regulators have been pushing the six medical marijuana dispensaries to expand their cultivation centers so they are ready to serve recreational customers as well.